I met Ashraf Jabaar three years ago in Ramallah, part of occupied Palestine. Ashraf had just successfully led a campaign at his school, the Arab American University of Jenin, to boycott Israeli products across the entire campus. Jabaar told me about how a group of young Palestinian students came together to resist their occupiers through the simple, non-violent tactic of refusing to buy Israeli juice products. Through their research, Ashraf’s group found that students at his university spent around $1500 per day on Israeli-made juice, and through sales taxes, nearly $100 from that was going directly to the Israeli army. For these students, questions surrounding boycotts of Israeli products are more than political philosophy questions. They are matters of life and death, liberty and confinement. Every day, thousands of Palestinian university students in the occupied territories have to face military checkpoints, arbitrary arrests and road closures just to get to school. According to the Palestinian Right to Education campaign, 411 students at Bir Zeit University alone have been incarcerated by the Israeli Defense Force since 2003. During the brutal Israeli assault on the Gaza strip in early 2009, the Islamic university was bombed to the ground. Could any of us here at Concordia imagine what it must be like to study under these circumstances? As students here in Montreal, our lives are more closely connected with those of students in Palestine than we think. In 2005, student unions and academics in both Palestine and Israel put out a call to university communities around the world to cut their ties with academic institutions that are complicit in Israeli occupation and colonization. What could this mean, tangibly? For example, both Concordia and McGill have research and student exchange programs with Technion University, an Israeli university in Haifa. More than simply an educational institution, Technion serves as one of the research arms of the Israeli army. This technical university frequently partners itself with companies such as Elbit Systems and Rafael Advanced Systems, companies that develop and manufacture tanks, missiles and drones. Through these research and exchange partnerships, both McGill and Concordia are indirectly normalizing relationships with institutions directly involved in egregious human rights abuses. Despite this grim picture, there is room for change. From March 8 to the 15th, Concordia will be joining universities in over 50 cities around the world to mark the 7th annual Israeli Apartheid Week. Events during IAW will explore the possibilities for shifting these unethical programs in our school. 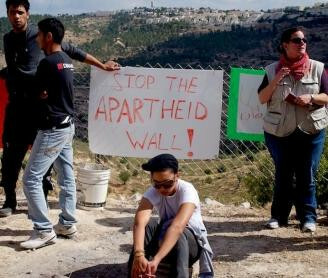 The time to divest from Israeli apartheid is now, as Israel continues to balk at the international community, expanding illegal settlements and thumbing its nose at the peace process. Cutting Concordia’s ties with apartheid in Israel does not mean boycotting individual Israeli academics, but rather ending institutional support, while demanding the same freedom of movement for Palestinian students as Israeli students. At the end of the day, when we ask ourselves if, as students, it is right to push for a boycott, we must think of a person like Ashraf, who faces military checkpoints and the threat of arbitrary arrest each day on his way to school. It would be my sincere hope that Ashraf, like any other Israeli student, have the opportunity to come to Concordia on an exchange program, but until Israeli apartheid ends, I don’t think its right to continue to pursue a relationship with such institutions.